There are two main types of racing that club members are involved in, Marathon and Sprint. Within both of these types, there are many different races and events that can be competed in. We have given a breif preview of the main ones below. The National Hasler series is designed for both individuals and clubs around the Country to compete with each other. All clubs nationwide are split into regions, of which we are part of the Midlands. Races are held at every club in the region annually, where paddlers can contribute points won, dependant of finishing position, to a club total. The clubs within the region compete to secure a place in the Hasler Final, a competition where the best clubs and paddlers come together in one big race at the end of the season. Hasler races are ran on Sundays, and the dates for these can be found here. The races are split into 10 divisions, 10 being the ‘slowest’, 1 being the ‘quickest’. Most paddlers will start in division 9, as divison 10 is only for U12 paddlers. As paddlers become better, and start winning races, they are promoted to the next higher division based on an algorithm ran on the results. The main difference between the divisons apart from speed is that divisions 1-3 race 12 miles, 4-6 race 8 miles and 6-9 race 4 miles. Andy Nevitt, our Marathon Racing Captain will be able to tell you about events as they come up. The dates are shown here and although it is best to enter in advance it is often possible to enter on the day. You can find out about all of the seasons races here. If you are unsure of which ones to do as a beginner just ask any of the club members, they will be able to give recommendations on which ones to do. Of course a great one to try as a first is the Worcester Hasler. Club members will need to purchase a Club Vest and Number Board, both which can be purchased from Andy. The DW is a 125 mile race which takes place every Easter. The club regularly has crews entered and typically has had everything from crews that just want the challenge of completing the race through to race winners. This link will take you to the DW website where you can find out more. In the lead up to the event there is a series of races that cover the same course these are the Watersides and Thameside races. They start at 13 miles and get progressively longer as you get closer to the DW race itself. Again we often field crews and the Races pages are found here. Sprint Racing in the Midlands is largely based on the National Series at Nottingham. The standard is pretty high (ask Steve for the qualification times) and you need to enter well in advance. The dates can be found at Sprint Races 2019. The regattas take place 5 times per year and includes some of the best paddlers in the country, which includes Olympians and World Champions. 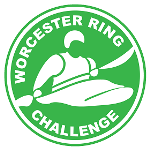 Entries for the Sprint Regattas closes almost a month before the start, so paddlers need to enter early. Entries can be done through a form on the notice board in the club. Steve Green is our Sprint Captain and he will help you find out what to do. You need to be a member of British Canoeing to compete at most events. Adults can enter one event on what is called a day ticket and costs a few pounds which provides insurance for that one event before needing to join. There is a rather tatty red book on the shelf in the gym area which is used to book boats and V bars for events. Take a look and put your name down for any club kit you want to use. Whilst those who book early are most likely to get the boat they want it is not strictly first come first served. If there is a clash please discuss with coaches who will endeavour to work out compromise. There is plenty of kit so it is rare that we cannot find suitable boats for all who want to paddle. One of the things that will enable you to race more easily is being able to get your boat to the race. The club has a few V bars that can be borrowed but sorting out your car with roof bars and then buying your own set of v bars needs to be on the agenda. Relying on other club members to have space on their car gets difficult. Alternatively anyone who is prepared to take the trailer to an event can help out a whole group of paddlers in one go.